We have three molars on each side of our upper and lower jaws, for a grand total of 12. Your wisdom teeth are the farthest back and the last teeth in your mouth. About 30 percent of people are missing at least one of these molars. 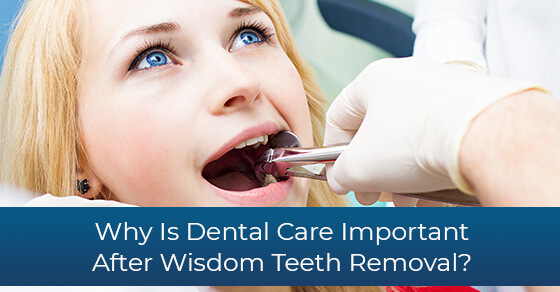 Most of the time, people do not experience any indicators that they need their wisdom teeth removed. Often it comes as a complete surprise after a routine x-ray at the dentist that something is amiss and requires addressing. Having your wisdom teeth removed is common, but is it always necessary? Below are some of the indicators that you do need your wisdom teeth removed. Jaw pain and stiffness. If you find that your jaw is throbbing, especially near the back of your mouth, or that it is hard to open and close your mouth without experiencing pain, it may be caused by your wisdom teeth starting to come through, or impacting the surrounding teeth. Pain at the tooth site. Anyone who has ever had the unpleasant experience of their wisdom teeth bursting through their gums knows that it can be an intensely painful experience. If you are experiencing sharp, prolonged pain at the tooth site, it could be another sign that your wisdom teeth are not coming in properly and will need to be removed. Swelling in the gum tissue. When your teeth come through your gums, it causes trauma which leads to swelling and discomfort. If you find that your gums, especially near the back of your mouth, are sore and swollen, your wisdom teeth coming in at an improper angle could be the cause. Evidence of gum disease at the back of the mouth. Gingivitis at the back of the mouth, especially in young people with decent oral hygiene habits, is often a sign that the wisdom teeth are making it hard to brush properly in that area and the result is gum disease. Some people are lucky and their wisdom teeth come in with no problems at all. They can be left alone and don’t require any surgery. The best age to have your wisdom teeth removed is between the ages of 16 and 22, but people in their 40’s and 50’s often go through the procedure too. Make a note of any of the above discomforts your children might be complaining about, and keep it in mind for yourself as well, to determine whether the removal of problem wisdom teeth might be necessary.